Comelec Commissioner Luie Guia said all candidates seeking local and national positions are reminded to comply with Section 104 of the Omnibus Election Code, which regulates donations. 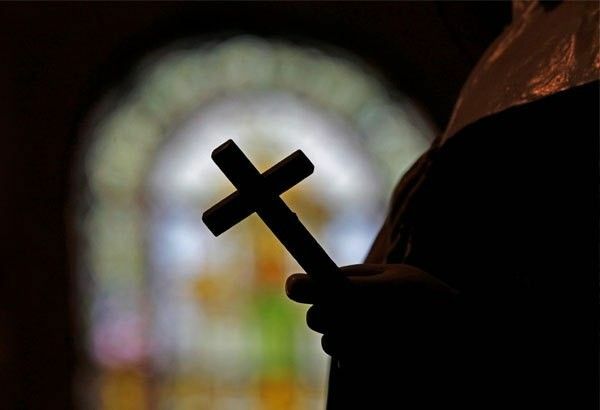 MANILA, Philippines — Candidates in the May 13 elections have been warned against giving donations including to churches during the campaign period, the Commission on Elections (Comelec) said yesterday. “Beware! This is one of the most important, yet ignored provisions of the Omnibus Election Code,” Guia said on Twitter. It however allows normal and customary religious dues or contributions such as stipends or tithes during Sundays or other designated collection days as well as periodic payments for legitimate scholarships and school contributions habitually made before the prohibited period. Comelec spokesman James Jimenez said the prohibition covers donations in large amounts. “For example, if a church is in need of a new facility or a new wing in its building and a candidate offers to shoulder its construction in exchange for their votes. It is like using it as a church charity,” Jimenez said. He said giving tithes or basket offerings to churches are not covered by the prohibition. Violators will face one to six years imprisonment, disqualification from public office and removal of the right to vote. More than 34,000 individuals have been allowed to vote under the Local Absentee Voting (LAV) system for this coming elections. Data showed the Comelec approved 34,693 applications for LAV. Of the figure, 21,488 are personnel of the Philippine Army; 8,501 from the Philippine National Police, and 2,335 from the Philippine Air Force. Others applicants approved for the LAV are personnel of the Department of Education with 769; Philippine Navy, 466; Comelec, 322; Philippine Coast Guard, 176, and Bureau of Jail Management and Penology with 150. One personnel each of the National Bureau of Investigation, Bureau of Fire Protection and Department of Labor and Employment availed themselves of LAV. There are 481 members of the media who applied and approved to vote under LAV. The Comelec disapproved 5,739 applications for failing to meet the deadline. Comelec Resolution No. 10443 provides that absentee voters can cast their votes from 8 a.m. to 5 p.m. from April 29 to 30 and May 1. The LAV allows some sectors to cast their votes for national posts ahead of the actual election day as they have to perform election-related duties. For the coming polls, LAV voters will be able to vote only for national posts such as senators and party-list groups. The Department of Social Welfare and Development (DSWD) will monitor the implementation of its programs during the election period to ensure it will not be used by politicians. The DSWD said it will not stop implementing its programs and assured the public that these will not be used for campaign purposes. The Comelec has issued a resolution granting a petition of the DSWD to be exempted from the prohibition against the release, disbursement or expenditure of public funds during the election period as provided under the Omnibus Election Code. The exemption covers the payout of the cash grants for the beneficiaries of the Pantawid Pamilyang Pilipino Program and the implementation of the Assistance to Individuals in Crisis Situation.